UPCS.com - Serving Your Support Needs, from Printer to Server, & Everything in Between! Web Design, Hosting, SEO, Business Productivity, Business Continuity - so many options - we are here to help you with these solutions as well! Service & Support to catch the problems before they catch YOU! 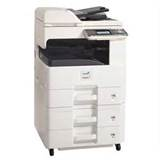 We provide a cost-sensitive solution to replacing those worn-out printers & MFPs! Excellent customer service has its challenges – one being that people talk about you! as the Best of Arizona Business in our field! What can you expect from Ultimate Print & Computer Solutions? > (yes, that means tablets and smartphones, too! ).